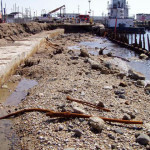 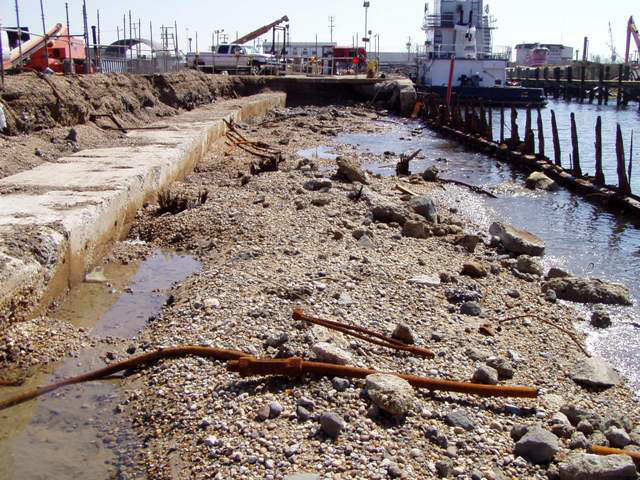 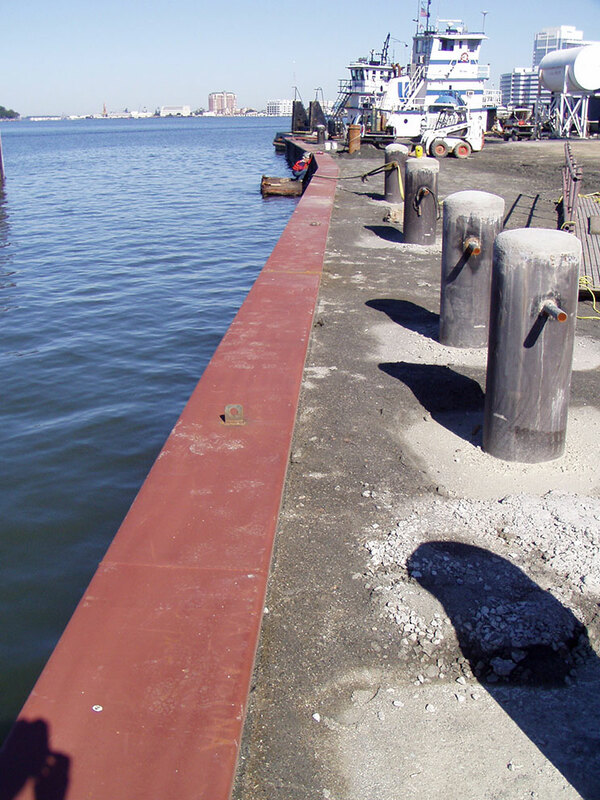 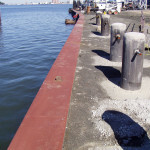 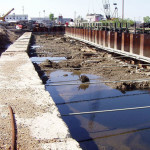 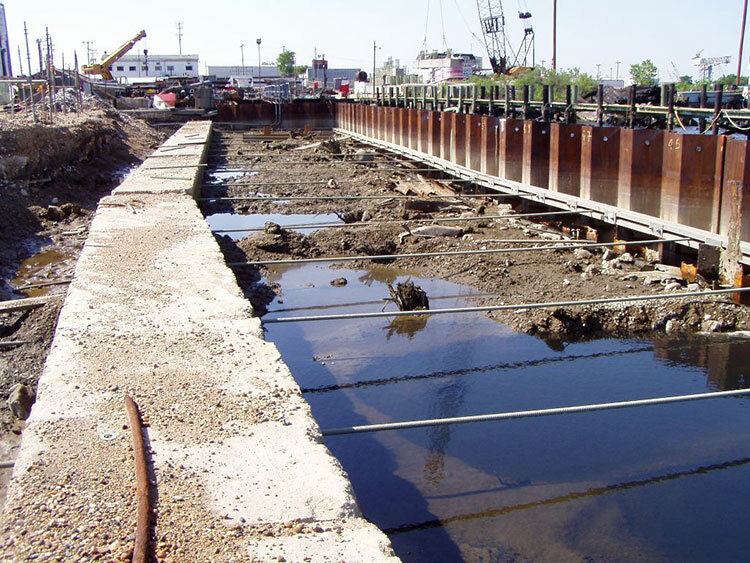 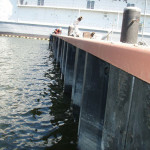 The existing sheet pile bulkhead was deteriorated and need of replacement. 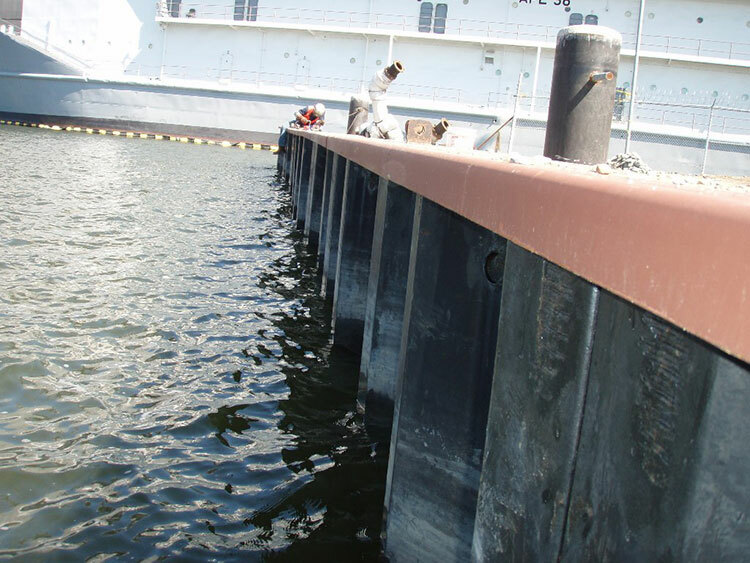 CDC was contracted to engineer, design, and build this project for the client. 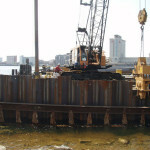 This included acquiring and acting as owner’s agent to obtain the Virginia Marine Resource Commission Joint Permit Application for wetland activities. 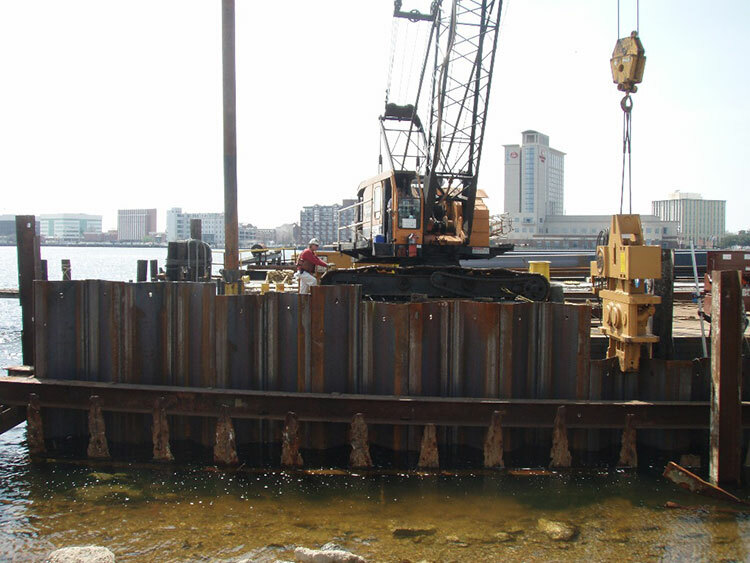 After careful planning, design, and permit acquisition, CDC commenced construction of the new 340 linear feet of AZ19-700 x 70ft steel sheet pile wall. 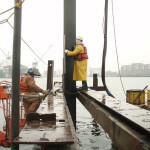 Construction elements included: Pile driving new steel sheet pile, Concrete coring through existing concrete dead man pile support elements, installing new 1-3/8” dia “Williams” Tie-rods, double c10x30 channel galvanized waler system, backfill, compaction, grading, steel shape cap, and mooring devices. 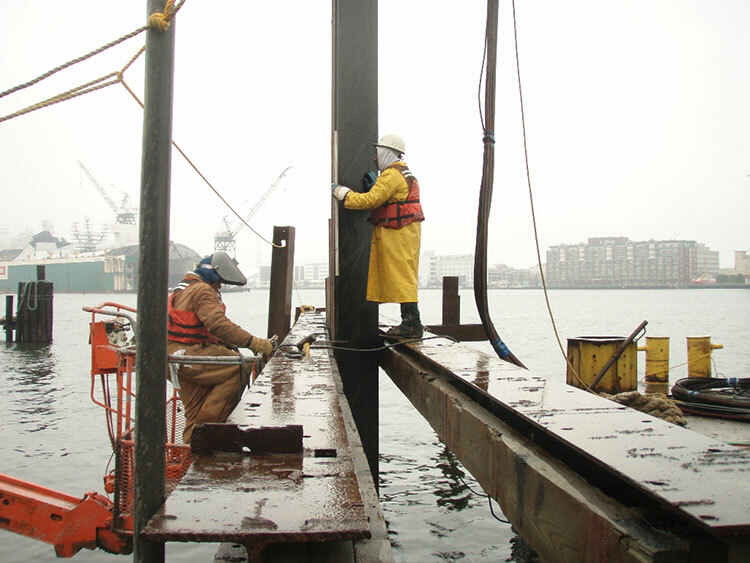 Excavation, Concrete Coring, Steel Sheet Pile Driving, Waler, Tie-back System, welding, structural fill, sub-base course, and compaction.